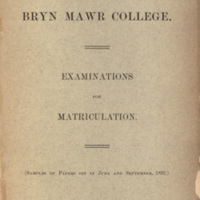 An entrance examination issued to applicants to Bryn Mawr College in 1892. 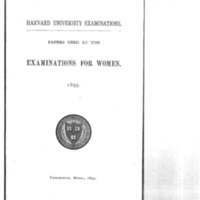 Excerpt from the Harvard Examination for Women, issued in 1893. 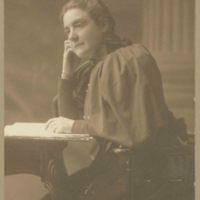 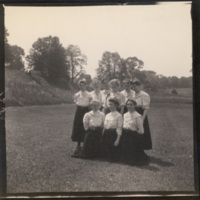 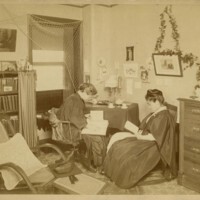 The exam gave academically accomplished women the opportunity to sit for an examination which would result in a certificate if passed, as a way of adding a tangible qualification to their academic records. 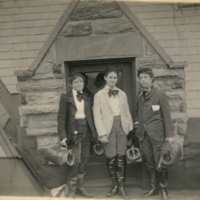 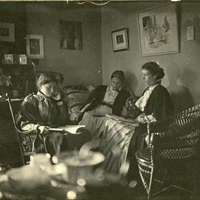 Photograph of Tsuda Umeko (also sometimes referred to as Umeko Tsuda, called Ume Tsuda while studying at Bryn Mawr) and Anna Powers, Class of 1890, studying in a dorm room in 1890. 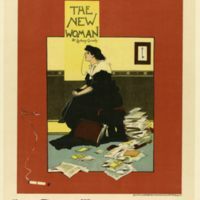 Taking Her Place: Play Poster From "The New Woman"
A poster from the play "The New Woman" by Sydney Grundy, put on by The Comedy Theater in London in 1894. 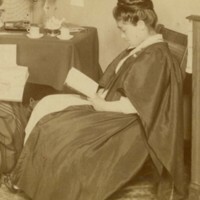 Illustrated by artist Albert Morrow and printed by David Allen & Sons. 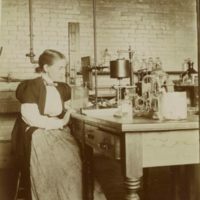 Picture by an unknown photographer of a student in Dalton Science Lab in 1898.